I am a newly found fan of this film. 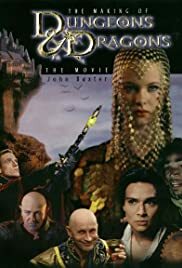 I was never a d&d player and remember the cartoon on Sunday mornings with an extremely vague fondness...but after I saw the acting talent in An American Haunting last week, I went out and found myself purchasing d&d. The film itself is a fun ride if you're a kid at heart. The pains courtney has endured to transfer this concept to the screen is monumental. Jeremy irons and thora birch were exuberantly cast and his production team seems to have worked well together. My personal opinion of why this film did not meet expectations is that there were too many producers in the pot.